Logos help your business stand out from your competitors. Read these 5 amazing logo design tips for your business and develop your brand today. You already have an amazing business — now you need an equally amazing logo design to represent it. While a logo may only be one small aspect of a company, it’s the first thing your customers see. So, having a good looking and recognizable logo is key. Not only will it make your business look more professional, it will help make sure your customers keep coming back. But, how do you make sure your logo doesn’t join the ranks of all the forgettable designs out there? 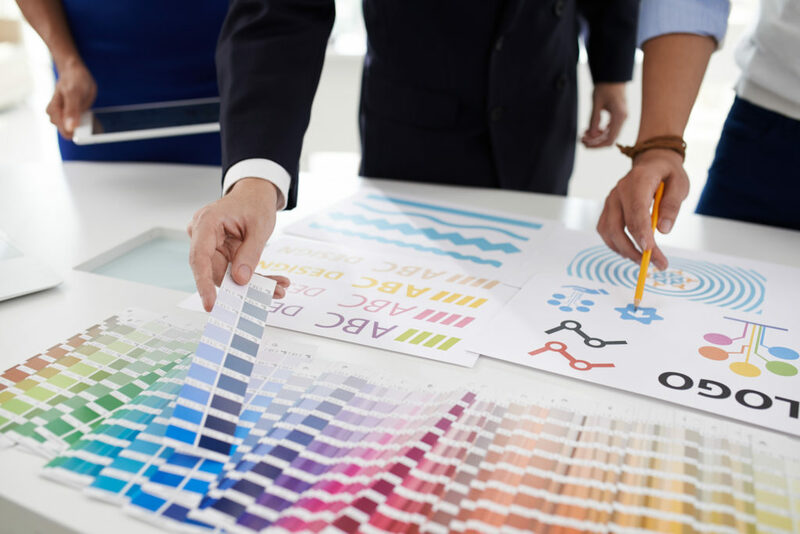 We have a few logo design tips that are sure to make sure your new logo will be as fantastic as the company it represents. Knowing what your competitors are up to is good business sense. And, it applies itself just as well to logo design. Know what symbols or icons your competitors are using to represent themselves. This way, you’ll be able to see what icons are already recognizable to your client base. Colors carry meaning. They’re tied to emotions and elements. Even certain objects can be tied to specific colors. It’s important to make sure that the colors used in your logo properly reflect the base qualities of your company. Aside from that, you want to ensure that the colors used in your logo work well together. Logos are purely aesthetic– so you want to make sure yours is aesthetically pleasing. When designing a logo it can be easy to overlook the space around and within your design. Blank space can be used to make a statement. The empty area between letters or shape can be used to create or convey new or unseen images. These will add to the overall effectiveness of your logo. Additionally, taking negative space into account when designing your logo can help you keep your design simple. The goal is to be memorable and effective. You don’t need a lot to accomplish that. It can be tempting to mimic a popular logo. But by imitating another company, you’re flattering them and pushing your customers toward someone else. Which is not an effective way to get your company to stand out. You want your logo to be as unique as your company. It’s meant to represent you– not anyone else. You may feel the urge to follow popular trends or stick to the same vein as everyone else. It’s important to remember– customers value authenticity. Something you can only achieve by being yourself. Take a good hard look at some of the most iconic logos in the world today. What do they all have in common? A design that looks too busy or overloaded is only going to be off-putting to customers. When it comes to logo design less is always more. You want something customers will be able to recognize. Something that’s best accomplished by keeping your design as simple as possible. Now that you know what it takes to create a good logo, you’re probably ready to get creating. This is where diylogo can help (see page). They have to tools to help you create a logo that will make you and your brand look as amazing as you are. Looking for more fantastic lifestyle hacks? Visit us! We have tips on everything from running your small business to handling your money. Although artificial intelligence (AI) has been around for a few decades now, many people still don’t fully understand it. The most basic definition of AI is that it’s a branch of computer science. The primary goal of AI developers is to create technology with the intellectual capacity of humans. When operating at peak, AI-based machines can mimic and learn human-level intelligence. Currently, AI developers look to human reasoning as a guide and create systems based on human intelligence. With a narrow AI system, the machine can only complete tasks that a human has programmed it to do. The goal is to adopt a more general AI system that can mimic human reasoning. Making a supply chain more efficient is the overarching goal of all managers. AI helps them do just that. One example is the transportation of products to the warehouse. This typically requires paying a driver wages and benefits as well as giving him or her adequate rest breaks during the day. With an autonomous vehicle powered by AI, a company can transport and deliver its products without the need for a driver. This is just one common example of how supply chains across the country have benefited greatly from AI. AI has become commonplace in the workforce over the past several years as the costs to design and implement it continue to drop. Improvements in technology have also played a large role, giving developers the ability to program machines to make complex decisions. This automation of complex decision-making represents perhaps the biggest opportunity in the future of artificial intelligence. Many jobs in the manufacturing industry have disappeared due to automation. This is not just in the United States, but Chinese factories as well. However, managers who intend to replace workers with robots don’t simply intend to let those workers go. They prefer to retrain them to complete higher-level tasks such as maintenance, programming, or design. These same managers also hope to create AI-enabled machines that go beyond task automation to the development of new business processes altogether. Machine vision is another recent use of AI. This machine has cameras attached that have several times the sensitivity of the human eye. This enables it to spot manufacturing defects that a person would miss due to their microscopic nature. The machine learned to do this by first viewing a small sample of images, learning their patterns, and automatically detecting small issues with circuit boards and other manufacturing parts. 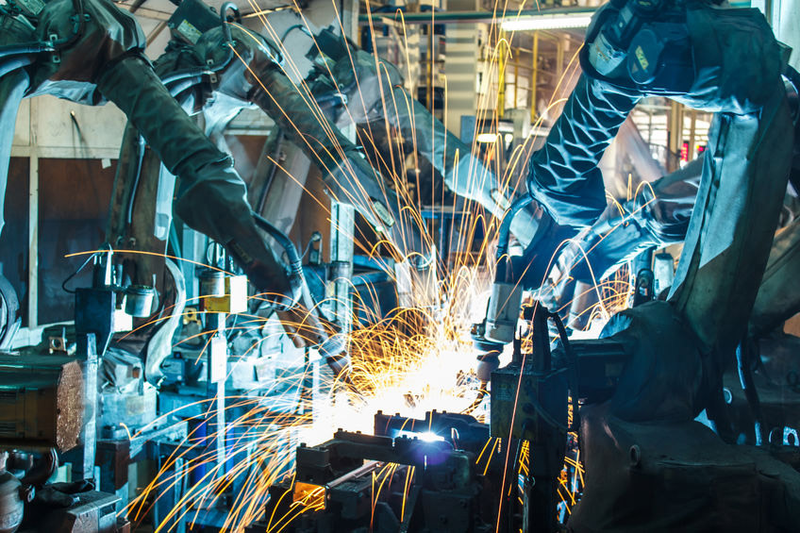 For all its promise of making things better, cheaper, and faster, machines powered with AI can never decide to start a project or how to respond to changes in customer preferences. These tasks will always require the input of a human. However, it won’t be long until AI becomes a part of the entire journey of most products from initial development to delivery to the end user. Finding the best generators for sale doesn’t have to be overwhelming and confusing. Click here to learn how to find the best to suit your needs. Did your home recently have a power outage? Is your area prone to heavy rains or other weather conditions that make these a normal occurrence? If so, you need to invest in a generator. Generators are the ultimate investment a homeowner can make. In addition to coming in handy when the power suddenly goes out, generators are a great tool to have while camping or tailgating. It’s something you can count on to maintain your daily routine in bad weather, and something to take the party with you wherever you go, too. But, you need the right generator to perform such tasks. Here’s your ultimate guide to finding the best generators for sale. Before you start visiting stores and searching online, you have to know what you’re looking for. There are a few different kinds of generators to consider, not to mention all the brands that make generators for sale. Consider the following things to help narrow down your search. 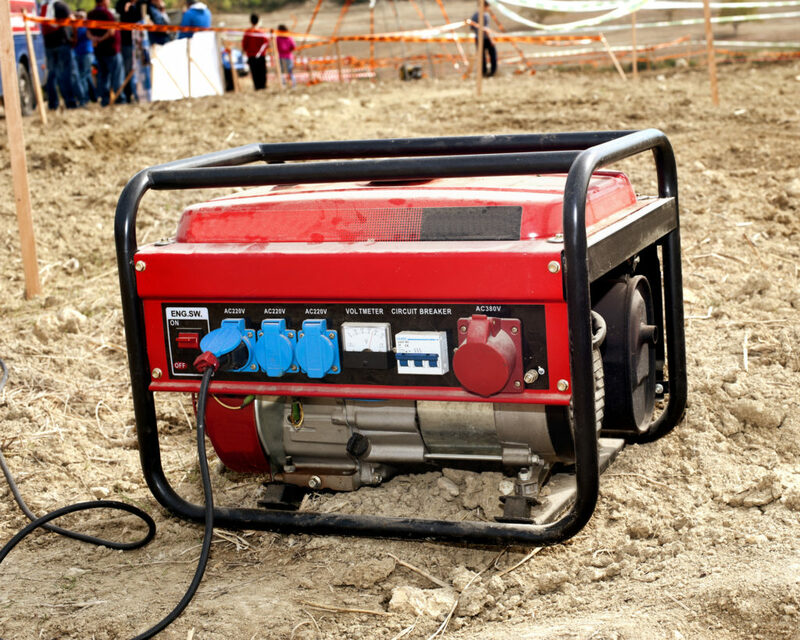 There are three basic kinds of generators: standby, portable, and electric. Standby generators are installed in the home and turn on automatically when the power goes out. These tend to be a big investment at first since you need a professional to come hook everything up. But, they are extremely reliable and you don’t need to lift a finger in the case of a power outage, which offers a lot of value. For generators you can do more than just power your home with, though, look into portable and electric options. Always keep these rules in mind. As effective as a portable generator can be, they can be quite dangerous when not used with caution. The last option to consider is an electric generator. These come with similar safety requirements to those of portable generators, but they do tend to be the safer choice. Such an upgrade is due to the advanced technology in electric engines. Electric generators don’t produce as many harmful emissions; they tend to be quieter, too. Since standby generators are connected to your home’s power system, they don’t need fuel to kick in when the power goes out. In a similar way, electric generators really just need the flip of a switch and you’re good to go. If you’re interested in portable generators for sale, though, consider the kind of fuel you want to use. There’s a big difference between a diesel vs gas generator. The fuel you decide on will have a significant impact on the longevity of the generator. It plays into things like durability, ease of transportation, and even safety. As such, this is not a factor to take lightly. Once you have an idea of which generator you want, it’s time to start the real search for generators for sale. This is not something to make a rash decision on. The more time you spend looking, the better of a deal (and overall value!) you can get. Below are a few things to do to make your search as efficient as possible. Go for a drive and browse different home improvement stores in your area. Talk to a sales representative if you want to get more details on one generator versus another. But, make it known you’re not trying to commit to any generators for sale yet. Make a list of the generators that stood out most to you, then go home and give each option some thought. Also, be sure to ask about the transfer switch needed for each generator! This is what connects a portable or standby generator to your home. Transfer switches ensure the safety of homeowners, their families, and even that of electric workers nearby. To take your search a little deeper, go online. This gives you full access to all the best generators for sale, regardless of where you live and what local stores have in stock. Mind you, ordering a generator online will mean you won’t get it as soon as you would by going to the store. If your area is on hurricane watch, or there’s some other time-sensitive situation, get to the store and make sure you have a generator ready to go. It’s rare that such emergency situations like the one mentioned above happen. But, they can come up out of nowhere, and at that point, any generator is the right one. When you’re in a more relaxed state of mind, though, take the time to compare your options. Weigh the price of each of your top choices, and the way they will work for your home, too. Consider the peace of mind and safety quality associated with each one. A standby generator, for example, will always work regardless of if you’re home or not. This is ideal if you own more than one home. Standby generators take care of emergencies when you aren’t around. On the other hand, portable and electric options give you a bit more versatility. Many homeowners enjoy that thought, and opt for one like this instead. Although not everyone owns a generator, some would argue that everyone should. A generator is your main source of peace of mind when the weather outside goes south. It also works great to power speakers for a party, to run a large grill, or take your adventures to other places. Even if you never use your new generator for more than a few power outings, you’ll be glad you made this investment. For more home improvement tools and ideas, click here. Customer reviews are powerful. Although they may not seem like a big deal on the surface, they can actually do a lot to increase the success of your app. Reviews can also be great because you have to do very little work. Unlike marketing that requires extensive planning and quite a bit of writing, existing users do all the work by writing the reviews for you! However, that doesn’t mean getting those reviews is easy, especially if you’re looking for positive reviews. The majority of people who are passionate enough to leave a review don’t usually have good things to say. So, how do you get people to leave positive reviews so you can reap all those benefits? The first step to getting existing users to leave a review is to make it as easy as possible. In order to do that, BuildFire suggests using an in-app referral program. This tactic is extremely important because it’s the only way you’re going to get a substantial number of positive reviews. It enables users to leave a review right in the app without having to get on a computer or search the app store in order to leave a review. It is also beneficial if you allow them to leave a flexible review. Don’t require reviewers to leave a comment. Instead, require them to give their star rating and make the comment optional. Not everyone has the time or the interest to leave a long, informative review! Users are more interested in using the app. They aren’t wondering how they can get other people to download the app. That’s your job! If you want people to leave a review, you have to let them know that’s exactly what you want them to do. Many review programs allow you to prompt users at various times, asking them to provide their feedback. They are much more likely to leave you a review if you ask than if they have to seek out the ability to leave you a review on their own. Just be careful about when you prompt users to leave a review. Skip the prompt that pops up every time the app opens. Instead, wait until the app has been launched and the user is finished with a task. That provides them with a better user experience, which in turn will increase their chances of leaving you a positive review. The previous two tips are extremely important if you want people to leave reviews, but you have to remember that the quality of those reviews matters. It’s a waste of time if you badger people into leaving bad reviews! That means you have to focus on giving users reasons to recommend your app, which in turn means you have to build an app that’s amazing enough that people want to recommend it. You should also plan to provide customer service as well. Whether it’s answering emails or responding to questions and concerns on social media, you want users to feel like you’re taking care of them so they will share their experience with others. 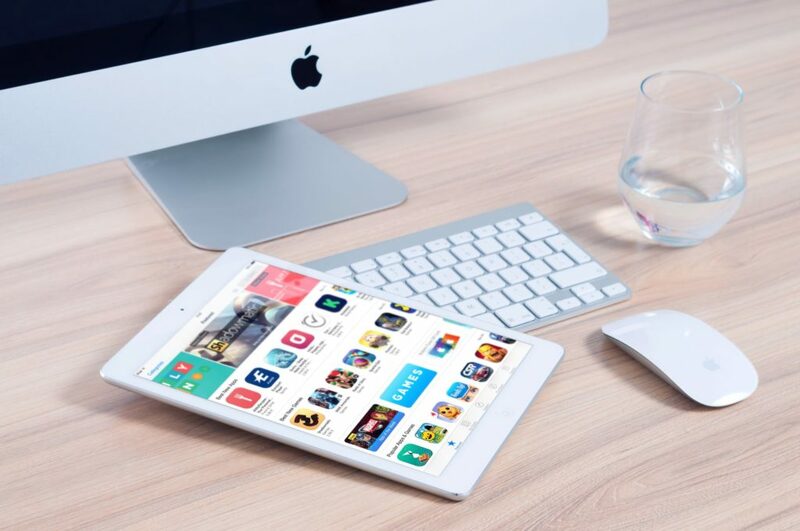 One tip you may have heard about before is the strategy of incentivizing your apps. That means encouraging them to leave a review by giving them a gift card or more of something that can be found in the app, like coins. This is a bad idea. First, you are more likely to get inaccurate reviews this way. People will just click through the review screen to get to the end so they can get their reward. Second, search engines and app stores are beginning to punish app developers that provide incentives to leave a review. If Google, for instance, discovers your app is incentivizing its reviews, you could fall drastically in the rankings. It’s definitely worth your time to get reviews for your app! Make it easy for users to leave a review and give them a good reason for wanting to do it and you can reap all the benefits that come along with an app that’s well-loved and well-reviewed. If you’re on the road to becoming a digital nomad, then you’re in for an exciting adventure. Being a nomad, and running your own business, will allow you to live wherever you want and work how you want. It will revolutionize the way you understand the entrepreneurial life, and create opportunities you never even dreamed. You’ll make friends and connections around the world, and you’ll become an expert in social media strategies that get your business’s name around the globe. Before you know it, you’ll know all the best Instagram hashtags by heart and have clients in numerous countries. As a digital nomad, one of the upsides is that you can travel a lot. But if you’re looking for a base to work from, somewhere where you can be part of a larger digital nomad community and keep your things, then you need to choose a city. And here’s how. Just like with business, a lot of your decisions when it comes to where you want to live come down to money. You may dream of living in Paris or London, but these are expensive cities and may not be in the cards for you. If you’re a blockchain entrepreneur like Brian Magierski or your tech-based startup is hugely successful, maybe you can eventually move to these cities. But in the meantime, you have to get creative with location. Luckily, there are lots of cheap places out there. In Europe, there are cities like Madrid if you like the sun, and super-cheap prices in Budapest, where the cost of living index is 44.31 percent lower than in London. 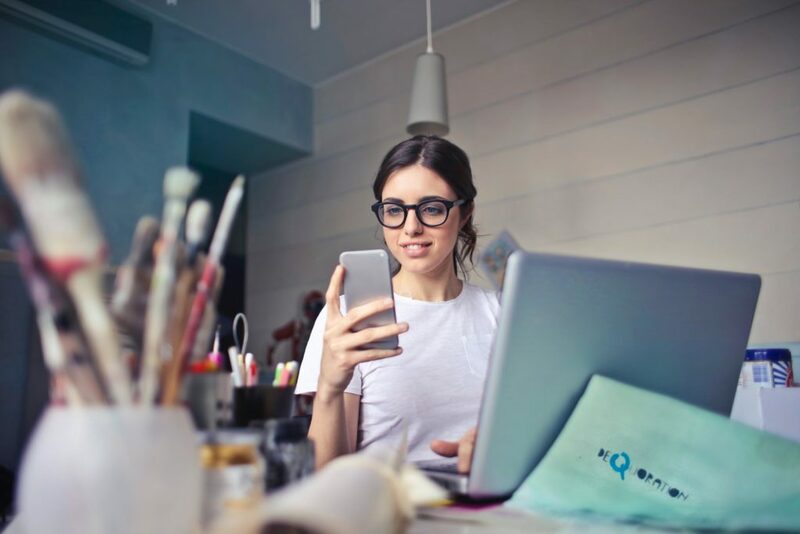 In addition to making your everyday life easier, if you need to hire an assistant or end up opening an office, then this modest lifestyle will pay off. The longer you spend traveling, the more you’ll get to learn more about a variety of cultures. And when it comes to where you finally choose to set up your business, it has to be a place where you’re comfortable spending a lot of time. For example, if you’re a writer, find a city with a rich literary history. You’re more likely to run into artists and poets there. If you’re a startup entrepreneur, then you want a tech-friendly city like Tallinn. Additionally, you need to consider what languages you speak. If you’re fluent in Spanish, then Spain is a great place to go (not to mention the fact that the average cost for a pint of there is 2 euros). Since you’re a nomad, you can travel around a bit to find a place that feels right to you. Some digital nomad businesses are more costly than others. If you’re a blogger, or you run a consulting service, these are low-cost, and they can be run from virtually anywhere. But other businesses require more maintenance, and even legal, administrative, and tax fees that can be higher in some cities than others. For example, if you’re running a cryptocurrency business, it’s smart to start it in Estonia. In addition to being a business-friendly place where you can get an e-Residency, there’s also a legal framework available for cryptocurrency startups. Already, Bitcoin is unrestricted in 96 countries, but that’s not a guarantee that cryptocurrency-based and other modern financial businesses can be run freely. So if you suspect you’ll face red tape or other challenges, read up before moving somewhere. If you want to make business partners in the city you’re in, then you want to move somewhere where your industry is strong. If it’s an international industry like ecommerce or design, many people will speak English and can quickly join your team. But there’s also something else to think about: friendship. Ultimately, it’s smart to base your digital nomad business in a city where there are other digital nomads. Unless you already have a family or groups of friends in many cities, it’s a good idea to move where people will understand not only the way you run your business but your entire lifestyle. Nomads understand you: 85 percent of them say that being location independent is important to them. These are some of the most important factors to consider when choosing a base for your digital nomad business. What other factors do you think matter? The business process outsourcing (BPO) industry remains to be what is dubbed as the “sunshine industry” in the Philippines. It is the strongest contributor to the robust economy of the country, with revenues expected to hit as much as $48 billion by 2020. BPO also remains to be one of the highest sectors of employment for Filipinos, reaching a record high of 1.15 million workers in 2015. The figure is expected to continue increasing, beyond the 1.3 million mark posted in 2016. All these rosy statistics underscore the Philippines as the most ideal offshore BPO site in the world. Industry experts and outsourcing consultants are unanimous in hailing the Philippines as having dethroned India, which was previously considered the top outsourcing destination. While India has had to contend with rising operational costs and flailing retention, the Philippines sustains stellar growth with the continuous entry of new BPO firms and the expansion of existing ones. 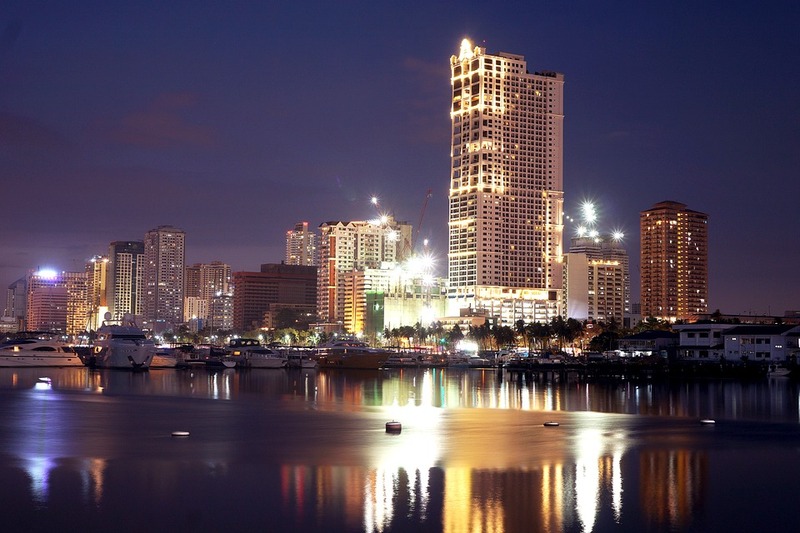 Just why is the Philippines at an advantage in the global BPO arena? The Philippines has managed to maintain a highly attractive business environment for BPO companies with one of the lowest costs of operation in the South Asian region and especially compared to Western countries. Overhead expenses such as office space rental, utilities such as electricity, and even wages are relatively affordable and thus enable BPO companies to increase profitability through higher margins. Clients from English-native countries prefer outsourcing to the Philippines because Filipinos have been proven to be extremely fluent in the language, in both written and spoken form. Filipinos are also more accent-neutral compared to other nationalities, and for this they are able to converse more clearly and resolve contact center complaints more effectively and efficiently. A deeper reason for the superior English fluency of Filipinos is their knowledge of Western culture, having been colonized by the United States for a substantial period of history and having been built with a lot of similar socio-political structures. Filipinos continue to be abreast of Western culture and thus are able to understand nuances in conversation and communication with foreigners. This gives Filipinos a distinct advantage in providing excellent BPO services in many fields. Again, owing to US colonization, the Philippine educational system is largely based on Western standards and ideals, and thus produces graduates with high literacy and competence. Filipino culture also places a high emphasis on education as a basic necessity, and thus a large pool of potential workers are readily available for BPO firms and locations in the country. In a short period since the establishment of the BPO industry in the Philippines at the turn of the 21st century, the government has fortunately been able to support growth by providing the right infrastructure for telecommunications, transportation, education, utilities, and other aspects for BPO business. Real estate developers quickly latched on to the trend toward mixed-use developments that allow BPO firms to thrive not just in established city centers but in emerging locations of growth throughout the country. With all these strengths and advantages that the Philippines offers, the BPO industry is seen to continue its positive growth trajectory in the country for the near future. The government is pursuing more initiatives that will ensure that the country maintains its solid reputation for being the most preferred site for outsourced operations, whether it be for traditional contact center requirements or even emerging sectors in non-voice such as medical and legal transcription, computer animation, and many others. A small office space can feel suffocating if it’s not set up properly. However, by following these 10 tips for improving your small space it can be delightful! Did you know that on average Americans work 34.4 hours a week, with 1 in 4 even logging 50+ hours on the job! Now that’s a lot of time spent in the office! But what is your office actually like? Is it a tiny, musty smelling, grey cubicle filled with dated furniture, piles of paperwork and pens that no longer work? If that’s what your office is like then it’s time for a change. A small dingy office like the one mentioned above is going to hinder your creativity and affect your emotional wellbeing. But fear not, there are many of things you can do! Keep reading for 10 tips and hacks to improve your small office space. Make the most of your small office space by placing furniture around the edges of the walls. When all the open space is concentrated into one area it’ll give the illusion of a bigger space. There are many innovative designs available for furniture too. Such as corner desks, and smart storage solutions. No matter what style you’re going for, you’ll be able to find furniture that matches your theme. You can also make the best use of your space by using common areas. For example, using the corridor area for phone calls. Colors can make a huge difference to how big an office space can appear. Lighter colors always work best and give the illusion of a bright open space, even if it’s a tiny cubicle! If you want to use a bold color, be cautious, you could overwhelm your space and make it look more confined. You could try painting one wall a bright and bold color, but leave the rest neutral. Certain colors are also known to provoke different kinds of emotions. So choose wisely! For example, blue is supposed to increase productivity, whereas green is considered restful. Accessories are key to making any space seem more trendy. They should always match your color scheme to create a harmonious look. But remember less is always more in a small office space. You could put up some well-chosen artwork. It can create an aesthetically pleasing environment for you and your customers to work in. Or add an inspirational quote to get you through the day. For a personal touch, fill your desk with photos of friends and family. Or have your favorite photo printed on a mousepad. Add a little zen into your life with indoor desk plants. When you’re stuck in a small office all day, you can start to miss the outside world. Studies actually tell us that office plants can increase happiness and productivity! Not only do they make you feel great, but they can bring color and life into your office on a stressful day. Orchids are a great option. They bring color and class into your office but can be a bit tricky to look after. If you’re not so good at looking after plants try a cactus for an easy alternative. Another zen related feature is having a small water fountain. It can add a calming effect to even the most stressful clients! Stand up meetings are practical for a small office space. In fact, the human body wasn’t designed to sit down all day. Crouching at your desk can even be unhealthy and bad for your posture. You could have a tall table for quick meetings. Or try one of those fancy electronic desks where you can change the height with a few clicks of a button. Short stand up meetings in a small place apparently result in more creative ideas. Which contrasts a lengthy, structured meeting where everyone is sat far from one another. Yes, get rid of all that unneeded clutter! Clutter in a small office space can slow you down physically and mentally. This is especially true for your desk. 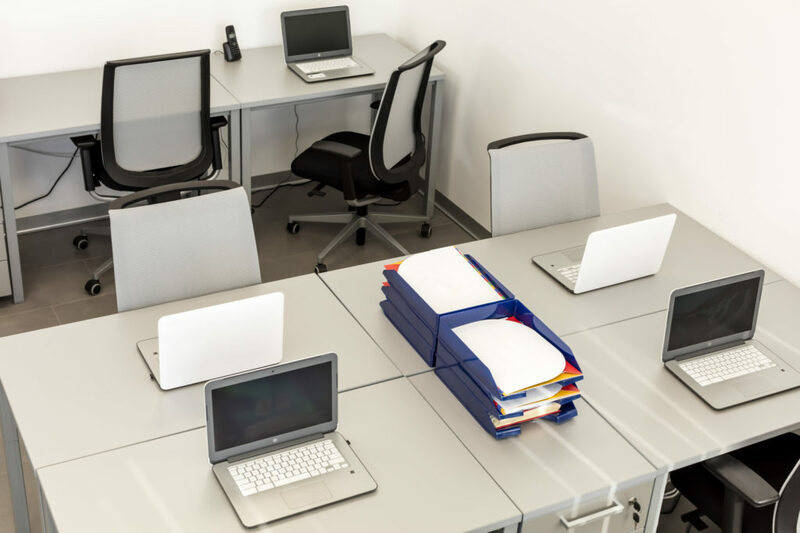 Keep the space clean, neat and tidy and your office will look bigger than it is. You may have heard the old quote “A place for everything and everything in its place”. Well, it should be true of your office space. Put everything away that you’re not currently using. Use organizers that you can hang or stack around your office. There are even over the door organizers and under desk organizers available. Go green and try to reduce the amount of paperwork you need. Do it all digitally, you’ll save a huge amount of space, without the need for massive filing cabinets and other storage equipment. Keep electrical cords and wires hidden and organized, not strung out along the walls. And label both ends of your cables. This will help you a lot if you ever have to readjust or remove any cables under your cramped desk space! Instead of cluttering up your floor with small rugs, use wall-to-wall flooring that will be easy to care for. Small rugs can actually make a floor space look choppy and small. Avoid hard floor tiles, although they are easy to maintain, they create an echo. This can make phone calls extra challenging. Forget your dream of a huge desk, go for something small scale and practical. Choose your desk chair with a view to comfort, as you’ll be sat on this for most of the day. If you need extra seating for your clients or colleagues, don’t opt for a huge leather sofa! You could use a slim profile sofa or loveseat. Multifunctional furnishings are also a practical way to use a small office space. For example, a hideaway workstation that can be closed up into a cabinet when not being used. Or use the top of a cabinet as a printer stand or end table. A dim dark office can make your space seem even smaller. So try to make use of the light you have. If you’re fortunate enough to have a window, use natural lighting to brighten up your office. Don’t use heavy drapes or blinds, keep it as open as possible. If you don’t have a window or the lighting is limited use overhead downlighting. Such as spotlights, recessed lighting or a modern pendant fixture. Get a slimline desk lamp for those late nights at the office. And try to avoid floor lamps that take up extra space. A fun idea is having twinkly lights hung around your office to get you through those stressful moments! Some communal office spaces can help you to keep your office uncluttered. For example, some offices include shared printing facilities, conference rooms, and break areas. This means you can ditch your own personal printer, coffee machine, and fancy chairs for clients, which will leave you with loads more space! These offices based in Pittsburgh are a great example of that. Check out their website to find out more about them. As you can see, having a small office space isn’t the end of the world. From choosing the right colors, organizing things wisely, to getting a cactus to take care of, there are many ways to create the illusion of a bigger office space! For a million more lifestyle hacks and tips, check out our blog! 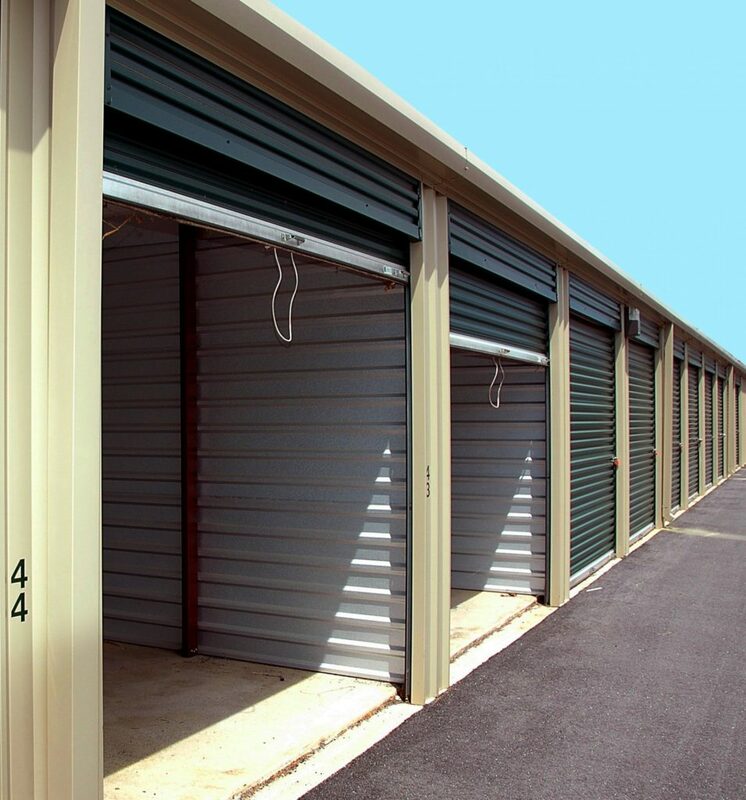 There are many types of businesses which could benefit from the use of a storage unit. When hiring a unit for your company, however, not all spaces are created equally. There are several things to look at if you want to ensure a successful partnership and reduce the stress of having an unpleasant experience. When running a business, you don’t have a lot of free time. Having a storage unit that can accept deliveries for you will make life a whole lot easier. It also gives you a business address for those working out of their homes. Options often include having a single package saved at a per-piece cost, or having it delivered to a unit where all your items are stored. This is also safer than having packages waiting on the porch, where they have the potential to be lost, stolen, or damaged. 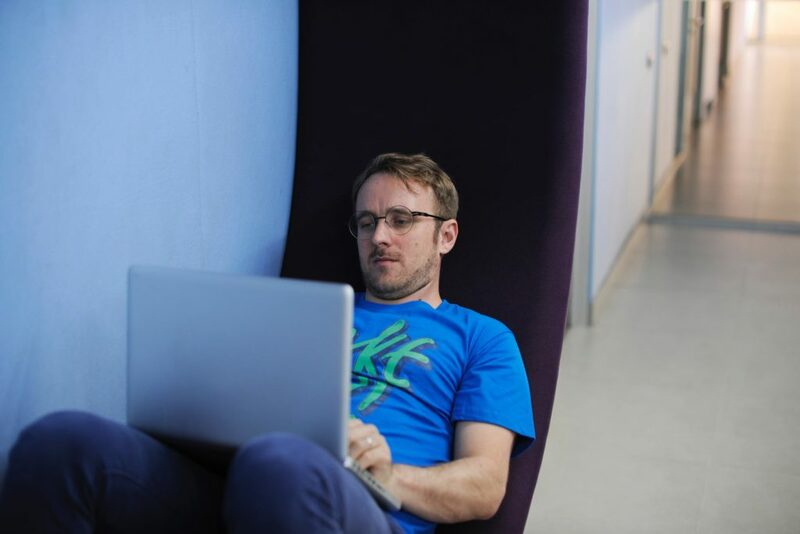 If you do the bulk of your business between normal nine to five hours, a storage unit which allows access only during those times may be no problem for you. If you need around-the-clock access to your unit, however, ensure the company provides this. Many do not, so be sure to ask prior to purchasing. Gated access is a safer option, as everyone who enters the compound can be tracked. Access is gained via codes that are set up for each person or unit. If someone enters the compound using your code, it will register in the system. Gated access also tends to have better security, such as cameras, than those without. When people know they are being tracked while on the compound, they are much less likely to be dishonest. As such, having gated access can help prevent the theft of your items. Business owners will undoubtedly need to fetch large loads of items at some point. A drive-up unit will make this process much easier. It gives you the capabilities to pull a truck straight up to the unit for easing loading and unloading of items. The alternative would be to haul items in and out of doors, or possibly up and down stairs, to move it to or from the unit. This isn’t only a hassle but can cause some serious muscle pain. Depending upon what you plan to store in your unit, you may want to think about investing in a climate-controlled one. These units prevent things like mold or mildew from growing on your items. It also keeps fabrics fresher in appearance and dissuades pests more than a unit without climate control does. If you utilize these five basic rules when hiring a storage unit in Westminister for your business, you’ll be sure to choose the right one for your needs. This, in turn, ensures you keep your business as free from stress and running as effectively as possible. Randy Benderson carries on his father Nathan’s legacy in the same fashion as his Dad did, with wit and optimism. Multiple communities have benefitted from Nathan Benderson’s contributions through charity and through helping develop communities, like Buffalo, NY, and Manatee County in Florida, all three of which remember his life and observe his passing over half a decade ago. Benderson Development’s success is part and parcel of efforts put forth by two generations of Bendersons. It’s a continuation of the legacy left by Nathan, who passed away back in April 2012. As the company’s founder, Nathan helped propel the business to success despite an everchanging economic landscape. Now, as the company’s leader, Randy continues to develop the talent of employees while continuing to search for properties for the company to develop. With passion and an eye for opportunity, Benderson Development has gained influence in the commercial real estate industry. The Sarasota and Tampa Bay, FL communities are able to enjoy a part of Nathan Benderson, too. Nathan Benderson Park is home of the World Rowing Championships, and Randy Benderson serves on the board of directors, seeing and fundraising for its upkeep and maintenance into perpetuity. 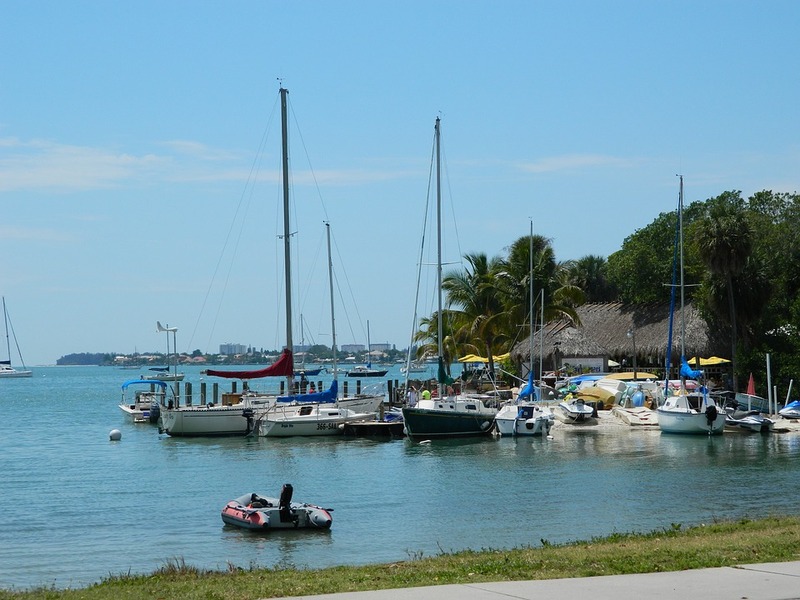 Benderson Park also complements the globally-renowned boating event with a huge festival, supporting the arts and humanities. It’s never just been about industry and financial growth for either Benderson. Benderson Park showcases local Sarasota and Tampa Bay metropolitan area talents. Notable performances from the Westcoast Black Theatre Troupe, the Bradenton- Sarasota Pop Orchestra, the Sarasota Cuban Ballet School, and the Asolo Reperatory Theater help drive diverse attendance at the park. “He was a great man of warmth and modesty, whose achievements were enormous,” Randy Benderson said back in 2012 about his father. Randy will continue to walk in his father’s footsteps by growing the family business, keeping a modest and humorous attitude towards life, never taking himself too seriously as well, and always remembering to give back to the communities he helps to build.